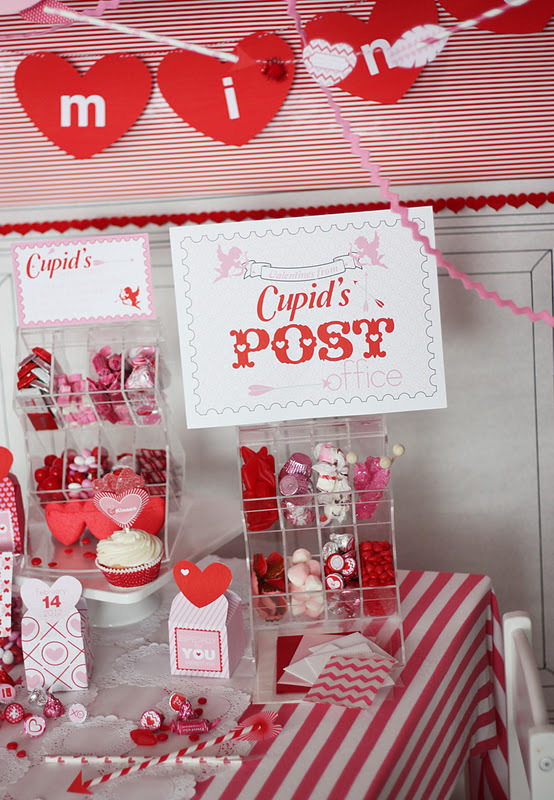 And now, the cutest CUPID'S POST OFFICE VALENTINE'S DAY PARTY submitted by Debbie Messmer of Wants and Wishes. 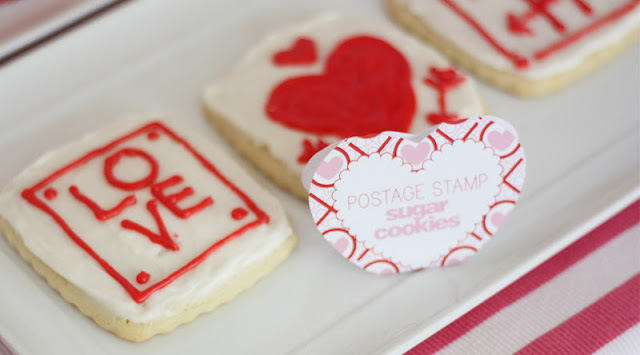 Debbie said- “I wanted to share with you my Valentines Day Collection! My theme was Cupid's Post Office. There are 2 parts to this party. 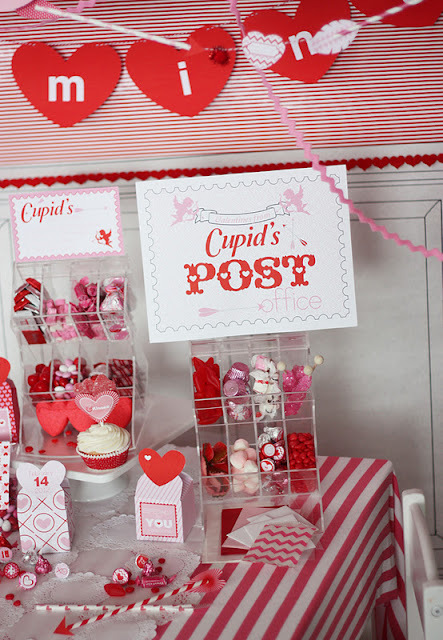 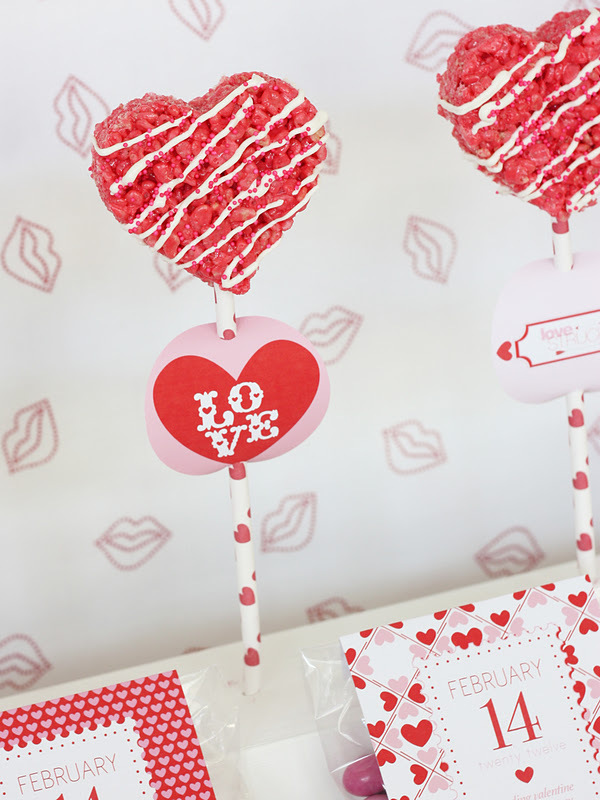 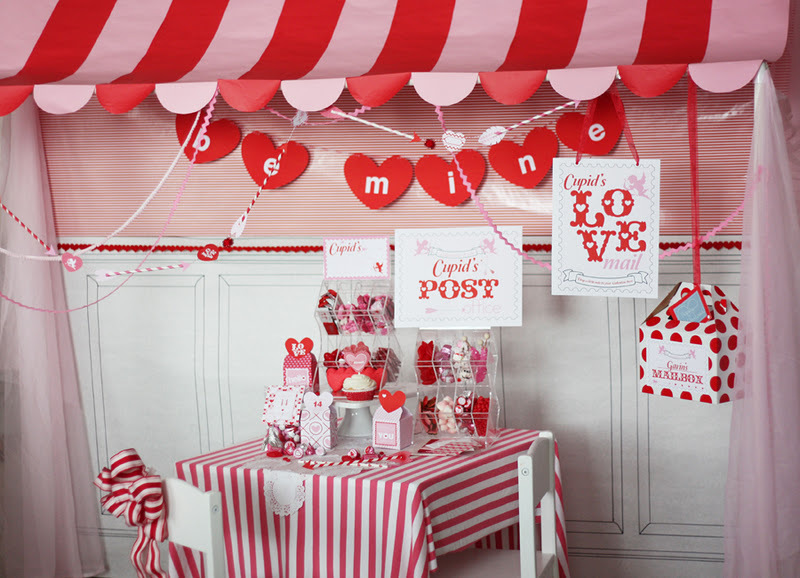 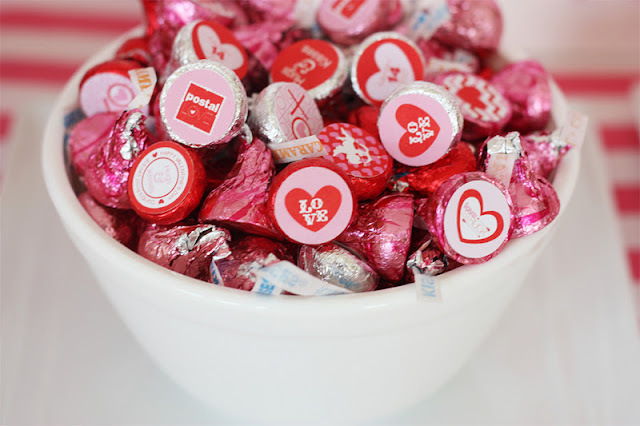 First was the dessert table that was filled with sweets and treats that were cupid worthy, and then, a Valentine station.... aka Cupid's post office... where the kids made valentines and "delivered" them to everyones mailboxes. 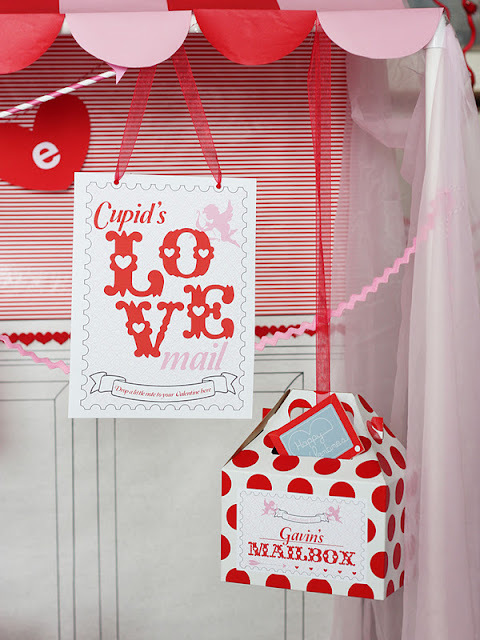 Since Cupid's post office was our theme we incorporated a lot of postal items, including candy bar wrappers that look like envelopes, post cards, and stamps. My favorite is the '5 things I heart about you'. The favor toppers were square like a postage stamp and had the seal of 'delivered from Cupid's Post Office' on them. 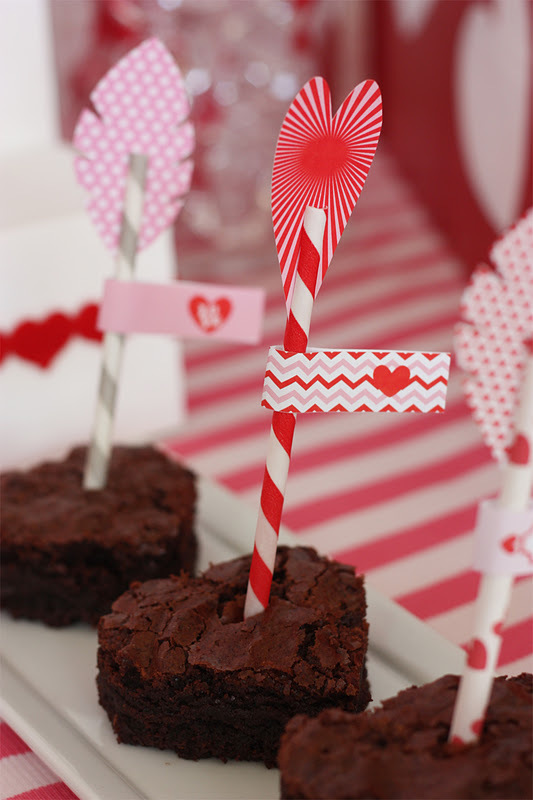 Also, we included hearts and arrows throughout the collection, seen on our shot through the heart brownies and arrow garlands. 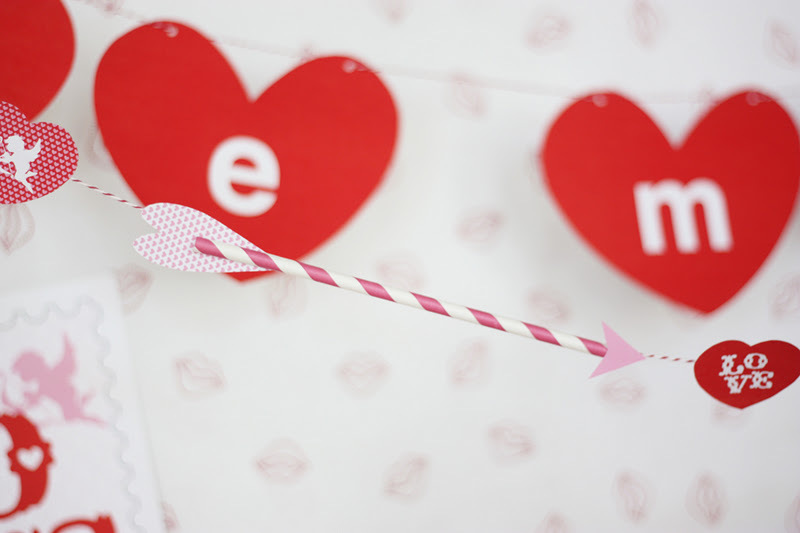 We created arrows out of paper straws and the arrow points and heart were "feathers". 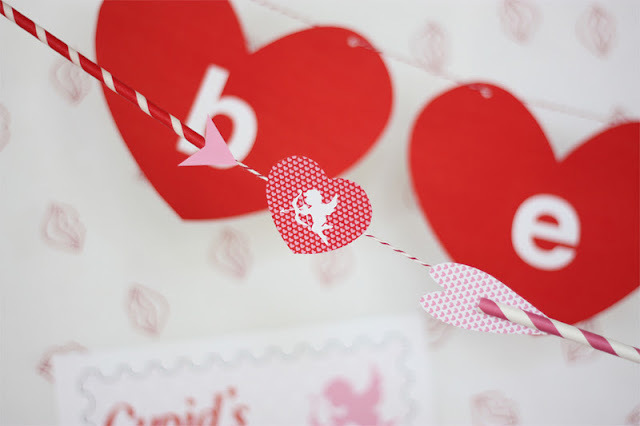 They are included in our Valentine collection. Very easy and fun to make! 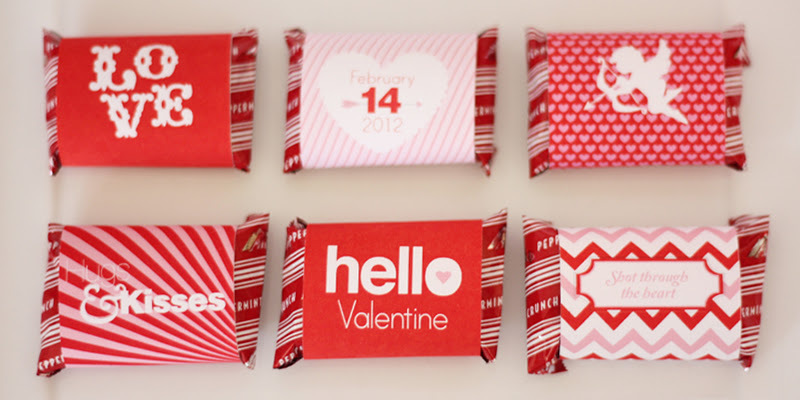 This would be a great activity to do with all the kids. 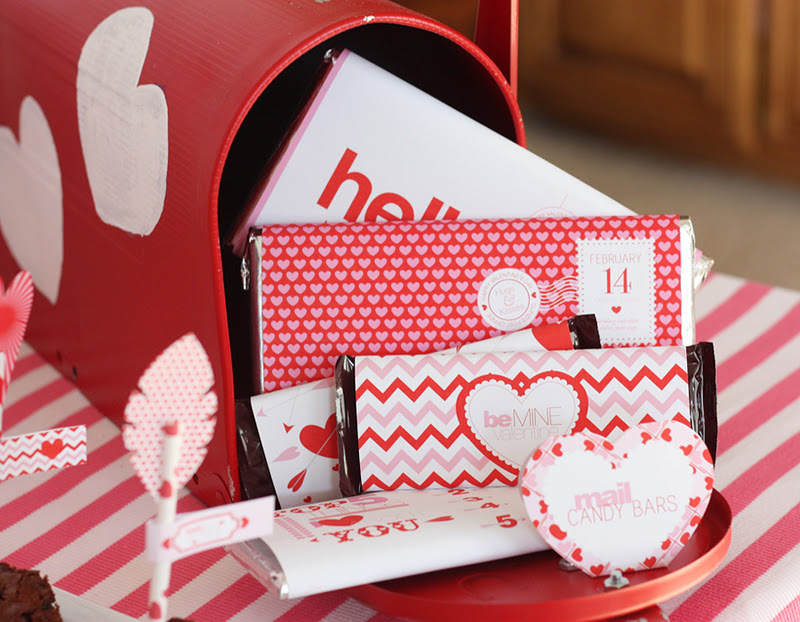 We had fun heart boxes that you could fill with treats, and a little note. 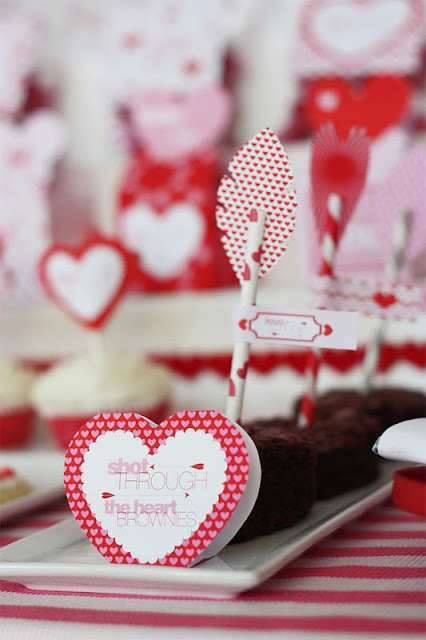 My favorite part... well one of my favorites is our heart cupcake toppers. They are 3 dimensional heart pockets!!! 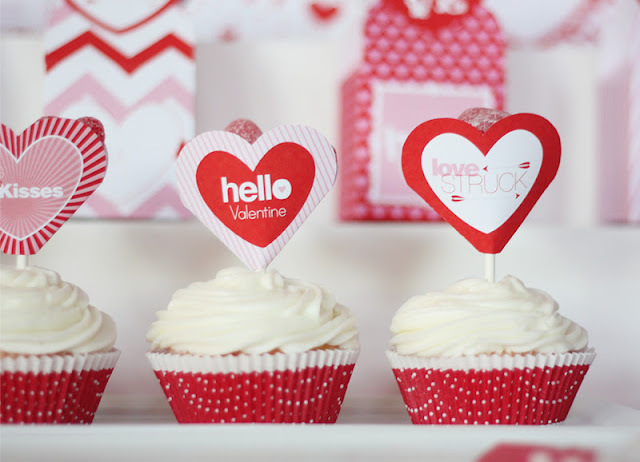 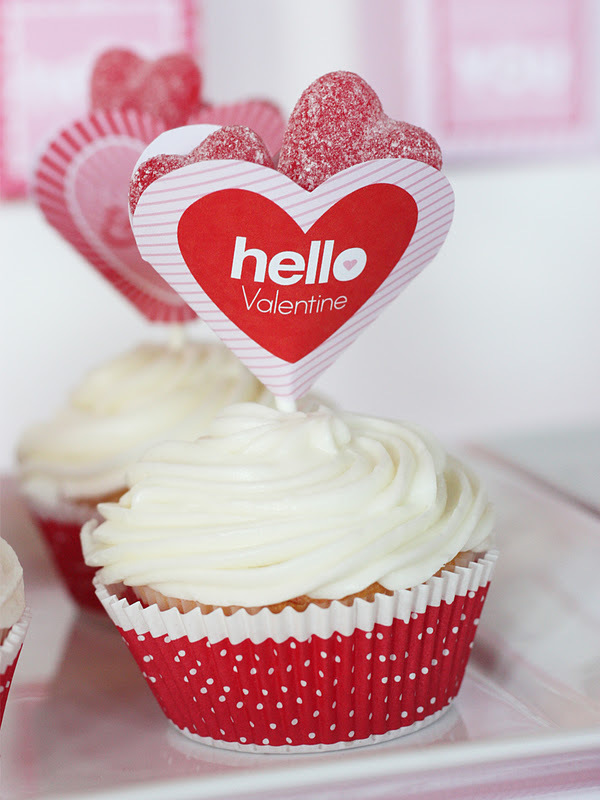 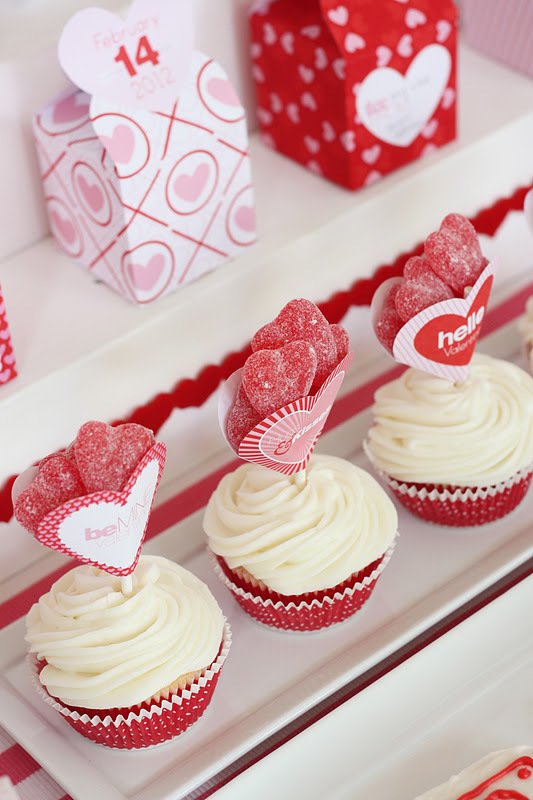 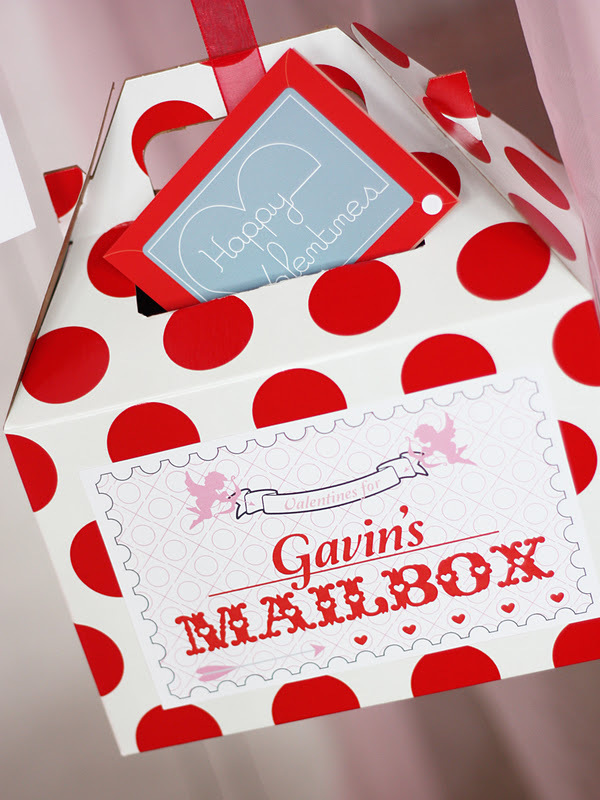 Fill with candy and a little note to send some love this Valentine's Day on top of your cupcakes! 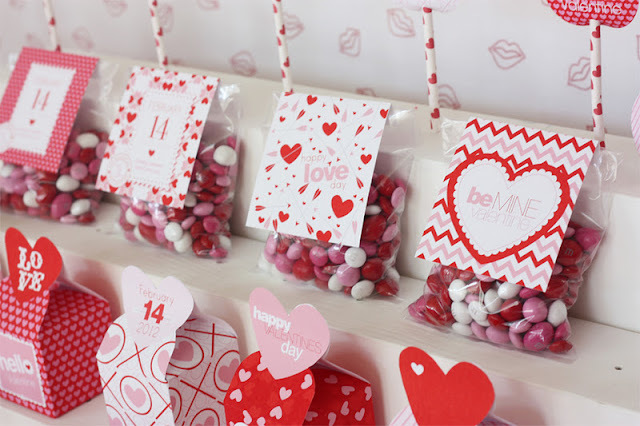 We have also attached the heart pockets to a boxes and twigs, then filled them with candy and love notes that the kids could take off the tree. 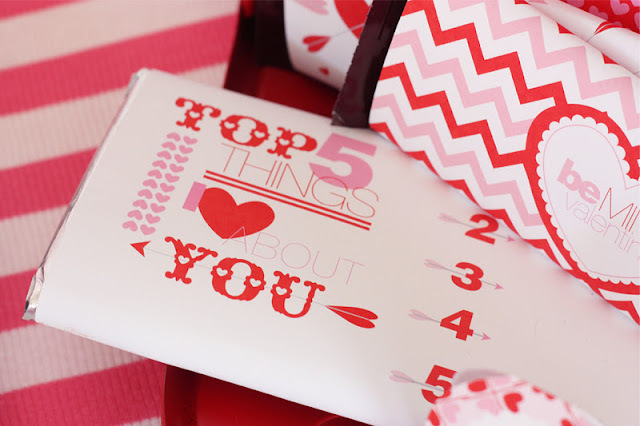 We are having '14 days of how to use our printable Valentine collection' for your Valentine's starting at wantsandwishesdesign.blogspot.com. I've been wondering: are the parties on here real parties that people actually attended? 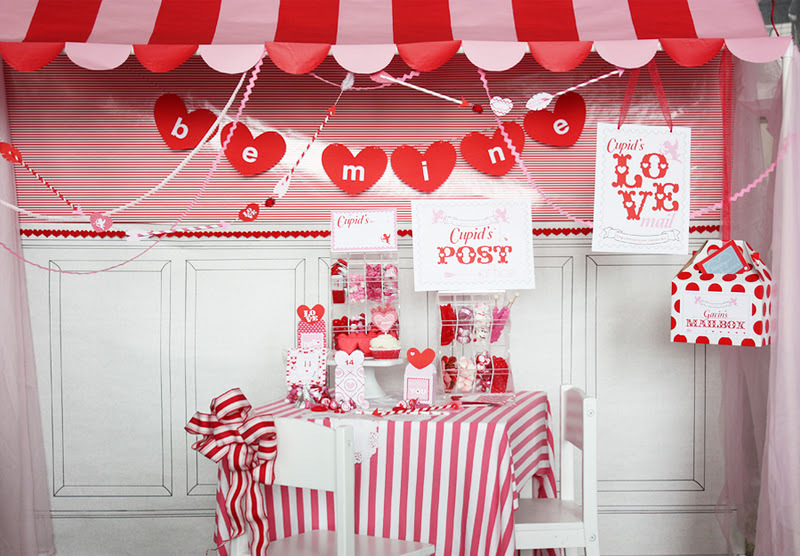 Or are they staged parties where people are just advertising the printables they created? Thanks for the feature! 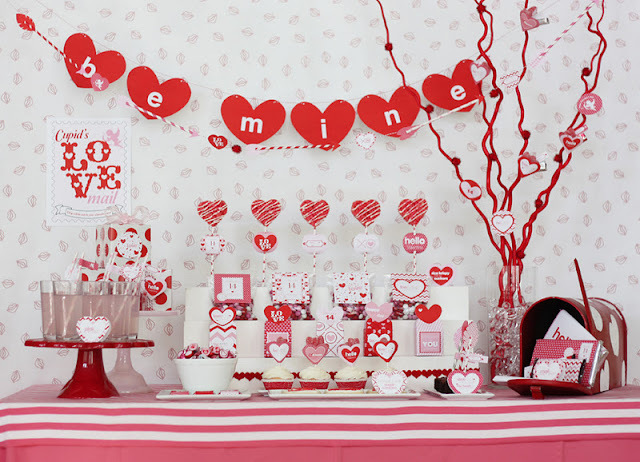 I loved creating this collection. 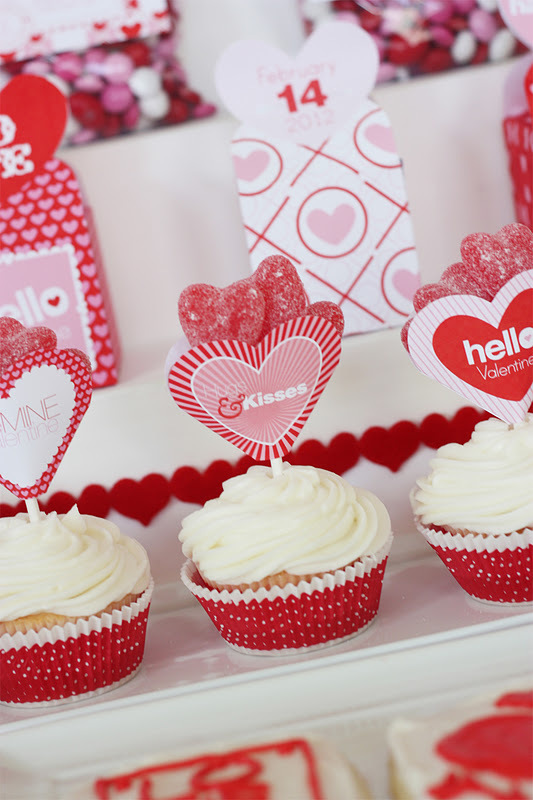 Amidst all the cute printables, spotted those cupcake toppers with the little pocket for holding more treats...so clever!